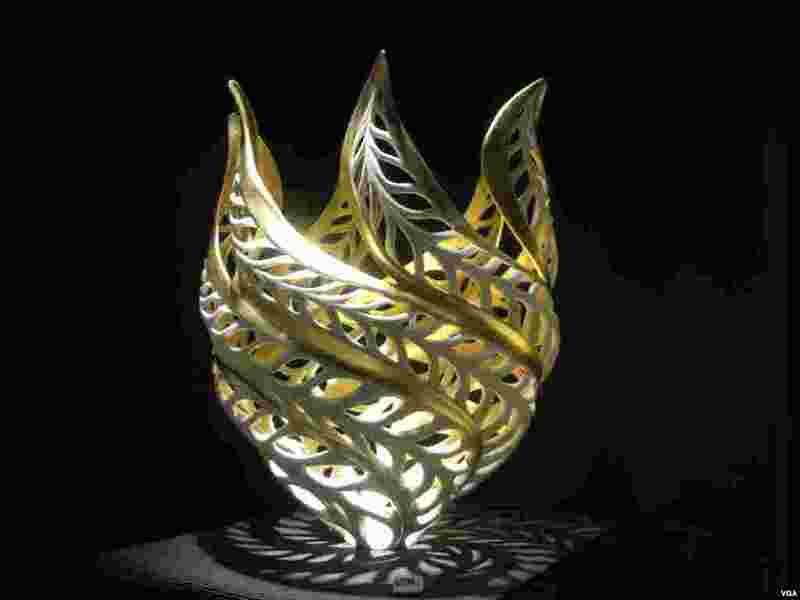 The annual Smithsonian Craft Show in Washington, D.C. is the most prestigious show of its kind in the U.S. -- and one of the most difficult for artists to get into. 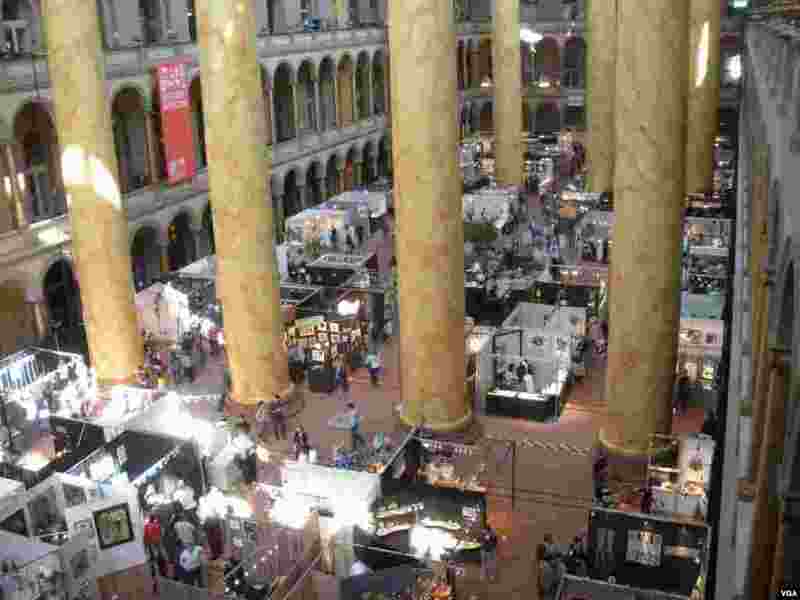 This year, more than 120 craft artists working in 12 different media -- from furniture to glass and wearable art -- displayed their work in the historic National Building Museum. 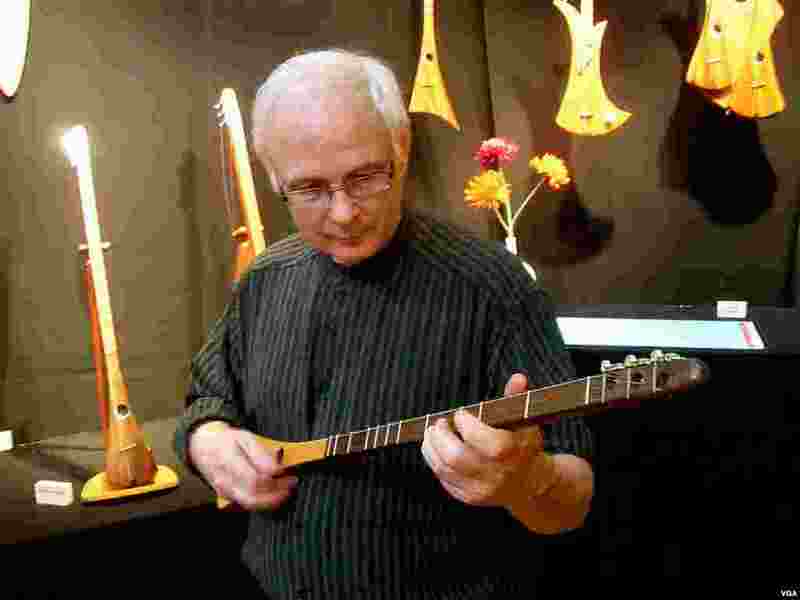 1 The 2013 Smithsonian Craft Show, National Building Museum, Washington, D.C.
2 Bob McNally invented the “Strumstick,” an instrument he designed so that anyone could play music. 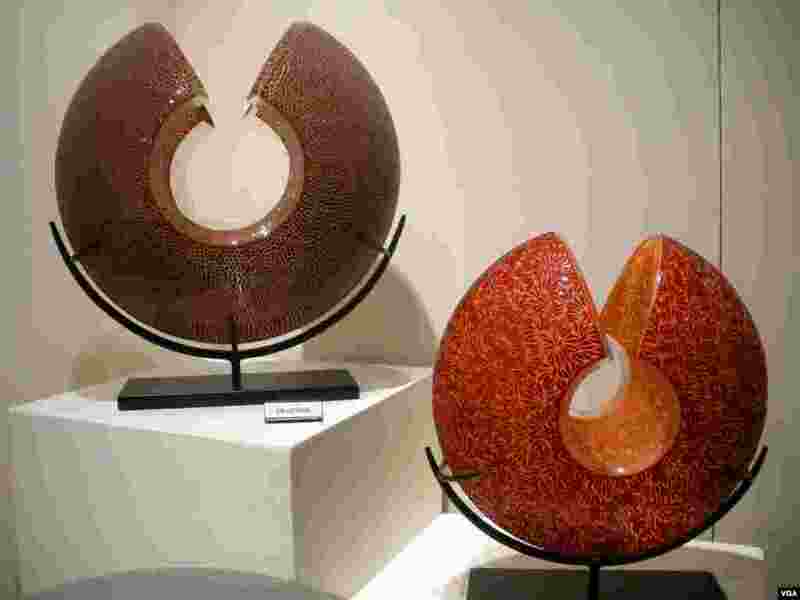 3 Ceramic art by Jennifer McCurdy at the 2013 Smithsonian Craft Show. 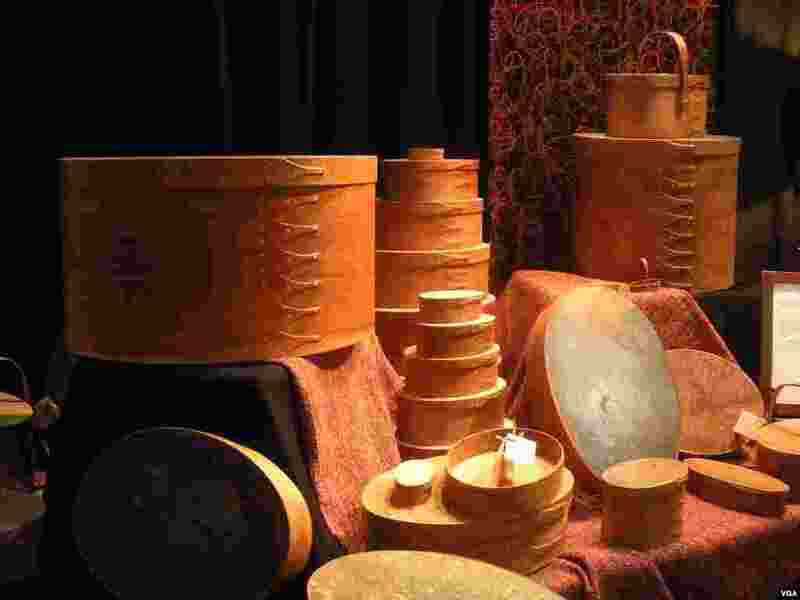 4 Shaker boxes by wood artist Tim Arnold at the 2013 Smithsonian Craft Show. 5 Glass art by Carrie Gustafson at the 2013 Smithsonian Craft Show. 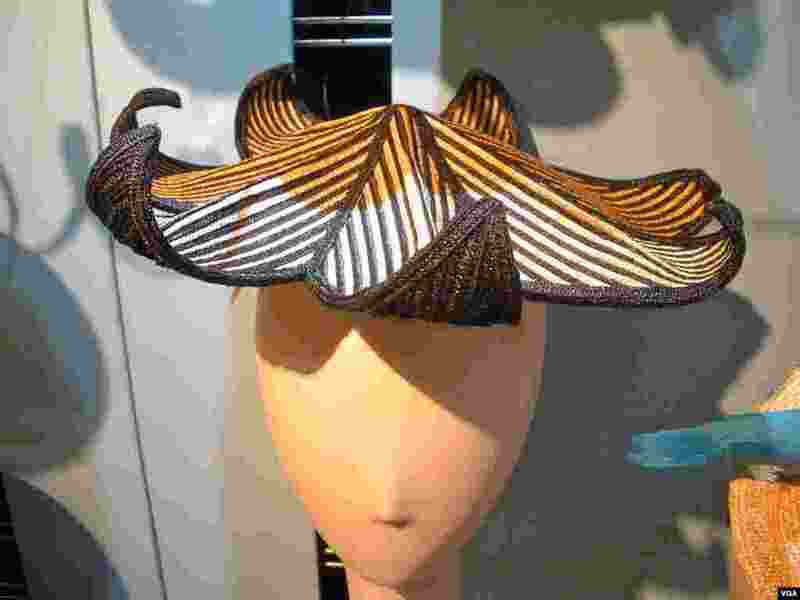 6 Wearable art by Ignatius Creegan and Rod Givens at the 2013 Smithsonian Craft Show. 7 A porcelain figure, from “The Shadow Circus” collection by Kirsten Stingle at the 2013 Smithsonian Craft Show. 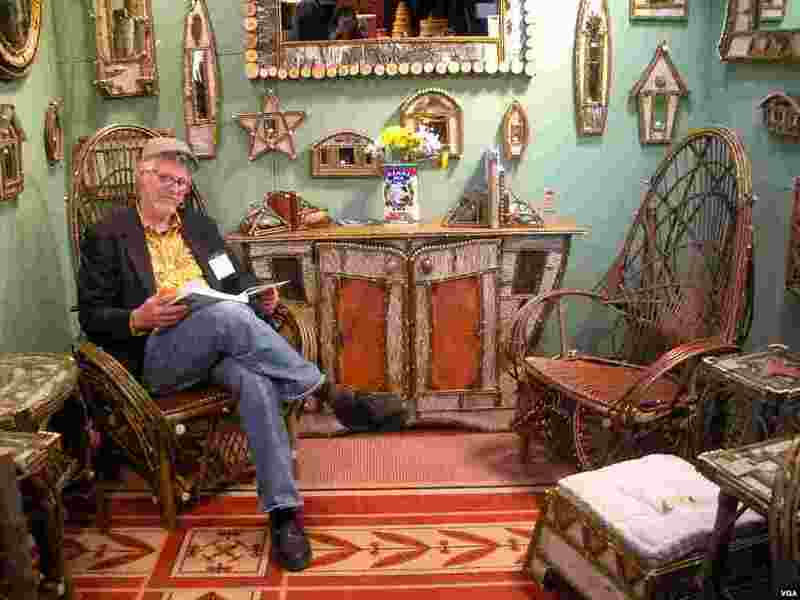 8 Twig furniture by Bill Perkins at the 2013 Smithsonian Craft Show. 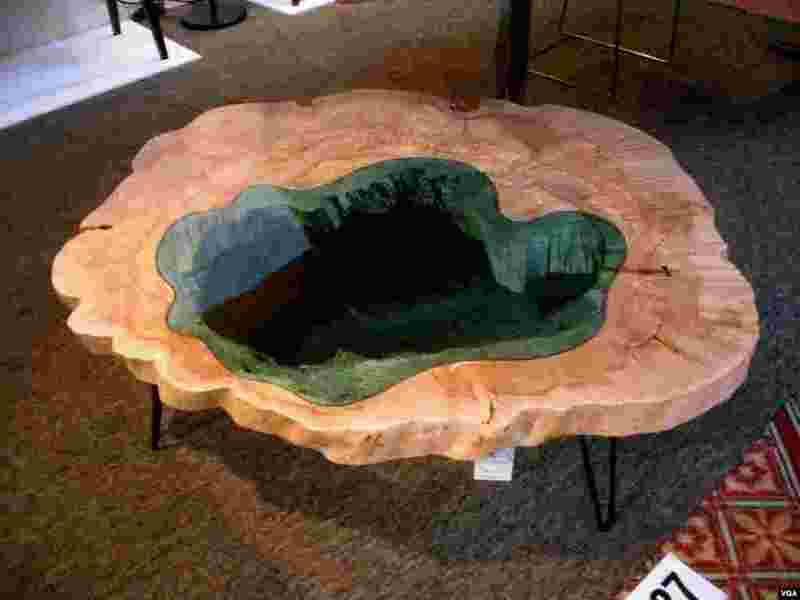 9 A table by furniture maker Greg Klassen a the 2013 Smithsonian Craft Show.